How will superdiversity change our society? 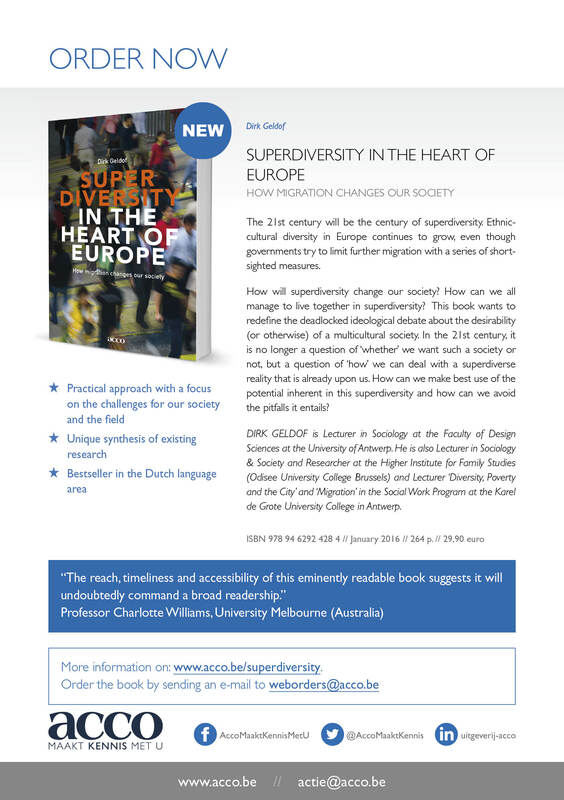 How can we all manage to live together in superdiversity? This book wants to redefine the deadlocked ideological debate about the desirability (or otherwise) of a multicultural society. In the 21st century, it is no longer a question of 'whether' we want such a society or not, but a question of 'how' we can deal with a superdiverse reality that is already upon us. In this superdiversity more and more families are stretched out over borders. They become worldwide families and their contact with family members and friends in other countries have an impact on their relationship with their other household member and fellow citizens. What does superdiversity imply for family relationships? How should family policy respond to that? What challenges do we see for the integration policy, for local municipalities, for social work? How do we develop a new perspective on the growing diversity within diversity? And how can we use its potential to its full advantage and evade the risks? This book (first print 2013, in Dutch) was presented at a conference on October 17th 2013.